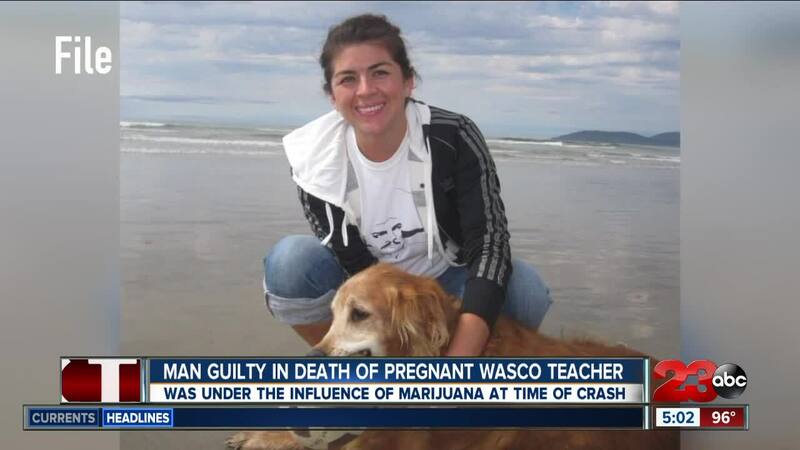 A man has been found guilty of negligent vehicular manslaughter for the death of a pregnant Wasco teacher. John Hernandez was found guilty of vehicle manslaughter of negligence. However, he was found not guilty of gross vehicle manslaughter. In June 2017, Shafter Police Department say Gabriela Soto's car was hit by another vehicle and the cars overturned on Santa Fe Way near Riverside Street. She was airlifted to Kern Medical where she later died. Soto was 28 weeks pregnant, and the unborn baby died as well. Sentencing for Hernandez is scheduled for Oct 29 at 8:30 a.m. He will be held without bail until sentencing.